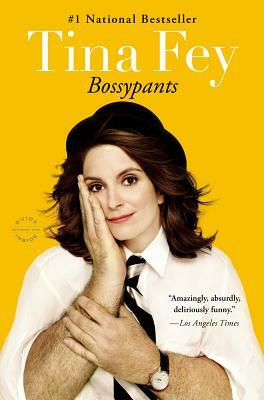 I read Bossypants by Tina Fey this past week. Fey recounts her early life as well as the span of her career by mixing hilarious self-deprecating anecdotes and more serious lessons that she has learned, all with an easy-flowing writing style and great humor throughout. Fey particularly focuses on her experiences as a woman in comedy, which many still consider a man's world, gently exposing some prejudices and giving advice for any female readers looking to break into the business, as well as her discoveries as a mother. I could easily hear her voice as I read, which somehow added to the book's whimsy. The series finale of NY Ink aired the other week. Ami has decided that he can't handle being in New York all year long without being with his family, so he offers a partnership with one of his other workers in order to spend six months out of the year in Miami. In the meantime, Jessica finally finds the apprenticeship that she's been searching for. Megan also decides to leave in order to tour with her rock star boyfriend, and the guy he offers the partnership to not only turns him down but decides to move back to California. And Ami has another showdown with Chris Torres over Torres talking crap about Ami and his shop. If this truly is the end of the series, it ended on kind of a limp note. Life continues for Ami and his remaining workers, and that's just how it goes. A few new blogs have been added to the blogroll. The first is Steampunk Theology, which applies elements of the steampunk culture to theology. You just have to see it; I can't really explain it. The second is Preach With Style, which is one pastor's journey toward dressing better to reflect the seriousness with which he takes his calling. I discovered Dessa this week, after which I quickly downloaded two of her albums, A Badly Broken Code and Castor, the Twin. Dessa is an MC based in Minneapolis and is part of the Doomtree hip-hop collective, but also does her own thing. She reminds me a lot of Ani DiFranco: she has a background in slam poetry but also mixes it up with a range of of instrumental and vocal styles. The interview/performance I first heard from her also showed her to be an incredibly intelligent, clever person who's a natural wordsmith even when she's just having a conversation. Castor, the Twin is actually a collection of previously released songs with more instrumental arrangements, whereas A Badly Broken Code features more traditional hip hop backing tracks. Here's the music video for her song "Alibi:"